This is now the UK’s biggest litter problem, email colin.sandiford@lewisham.gov.uk to find out more about the campaign and how you can get a free portable ash tray. Around 20 million people in the UK chew more than 935 million packs of gum every year. Most of this gum ends up being dropped on our streets, and once it is trodden in it can be extremely difficult and expensive to remove, email colin.sandiford@lewisham.gov.uk to get a free wrap it. 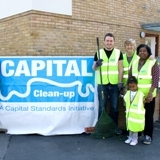 Every year residents along with members of the Councils Environment and Community Development team join together to clean up small areas of land in the borough, email colin.sandiford@lewisham.gov.uk to find out how you can get involved and suggest areas which you would like to see cleaned up. Enables local authorities to work co-operatively with businesses that are negatively impacting on the local environment and community and can solve problems such as litter, poorly managed waste, underage sales of alcohol and fireworks, noise and fly-posting, email stella.agunabor@lewisham.gov.uk to find out how this can benefit your business. 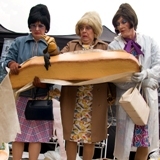 Dog fouling was one of highest sources of complaints by the public to MPs, local councillors and local authorities. 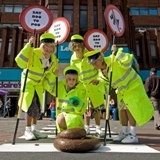 Estimates in 2002 put the UK dog population at 6.5 million, producing up to 1,000 tonnes of faeces every report dog fouling by using love clean streets. The Street leader scheme is an opportunity for you to be actively involved in making Lewisham a better place to live, work and learn. 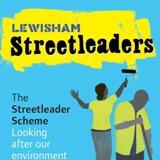 If you become a Streetleader for your area, you can join initiatives to tackle things like graffiti, street clean-ups, fly-tipping, you can also propose environmental improvement projects for your local area – and we can help make these happen email colin.sandiford@lewisham.gov.uk to find out more. 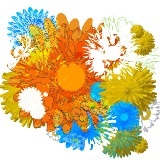 Is there a derelict or unused piece of land near you? All that is needed is some dedication, commitment and green fingers to get a community garden up and running email communitygardens@lewisham.gov.uk to find out how you can get involved. Hi there, you can visit the map section (see the tab at the top of the page), this will show you the nearest on street recycling services, you should also receive a service from your home – visit the recycle tab, where you can find out what you can recycle and in what container.